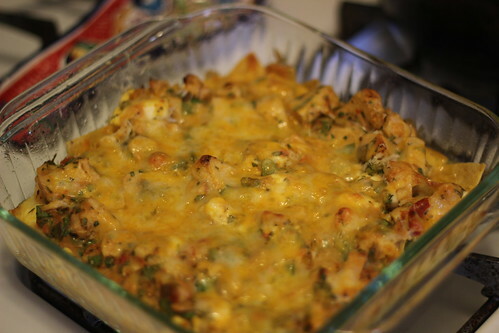 Notes: This ended up being a very chicken heavy dish. If we make it again I would for sure cut back on that. We also didn’t have a 7×11 dish (never even heard of that size) so we used an 8×8 pan instead and just made it work. The recipe says it feeds 6-8, but we seemed to get a little less out of it. 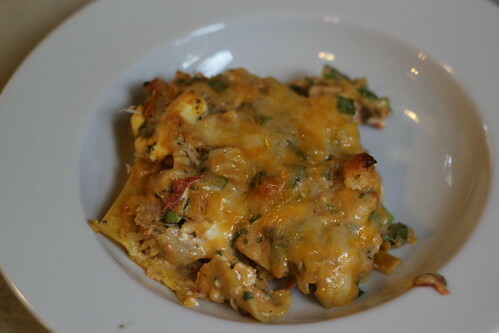 This entry was posted in cheese, chicken, cilantro, cream cheese, eggs, green onions, milk, salsa. Bookmark the permalink.